Just 40 minutes' drive from Masterton and 5 minutes from Featherston is Lake Wairarapa, the third largest lake in the North Island. Lake Wairarapa is surrounded by wetlands which drain into Lake Onoke and makes up a large part of Wairarapa Moana. The lake itself is 78 km² in area, with a depth of about 2.5 metres. 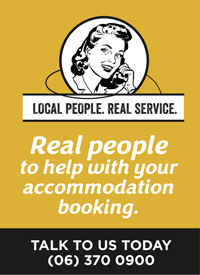 Be sure to look for some accommodation close by in Featherston, Martinborough or Lake Ferry. The largest wetland in southern North Island, Wairarapa Moana covers over 9000 hectares. The area has traditionally been important to local Maori as an area for the gathering of food and plant material. Wairarapa Moana is a great place for walking and getting out to enjoy some of the local wildlife of national and international significance. For example head along Onoke Spit for a look across the sea channel toward Lake Ferry. Stick to the highest part of the narrow spit however as the adjacent side is home to rare species of plants and birds and is the breeding ground for the rare Caspian Tern. Keep an eye out for the banded dotterel, albatross and penguins, or out to sea look for dolphins, seals and the occasional whale. Check out some Wairarapa coastal walks too.